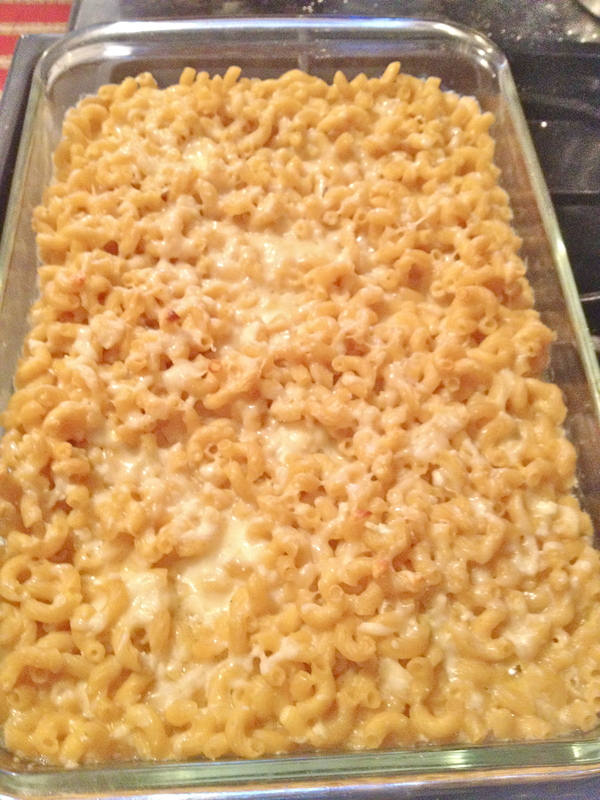 Baked Italian Macaroni and Cheese. As I’ve mentioned before, I came back from my trip to Scotland with crisps, chocolate bars, and Nigellissima, Nigella Lawson’s latest cookbook. On Sunday, in honor of Nigella’s birthday and our hungry stomachs, my sister and I cracked open this wonderful tome and made her Italian-inspired mac and cheese. After switching up a couple of things and converting all of the measurements from metric to standard (and laughing as we tried and failed to guess how much 60 ml and 125 g of things were….metric, it just doesn’t work for me), we got to dig in and enjoy this stuff. So good! We’re thinking that maybe next time we make this, we’ll stir in some caramelized onions, and bacon or pancetta or something nice and salty would be a good addition too. Either way, yum. Happy Birthday, beloved Lady Lawson! Heat a pot of salted water for the pasta. 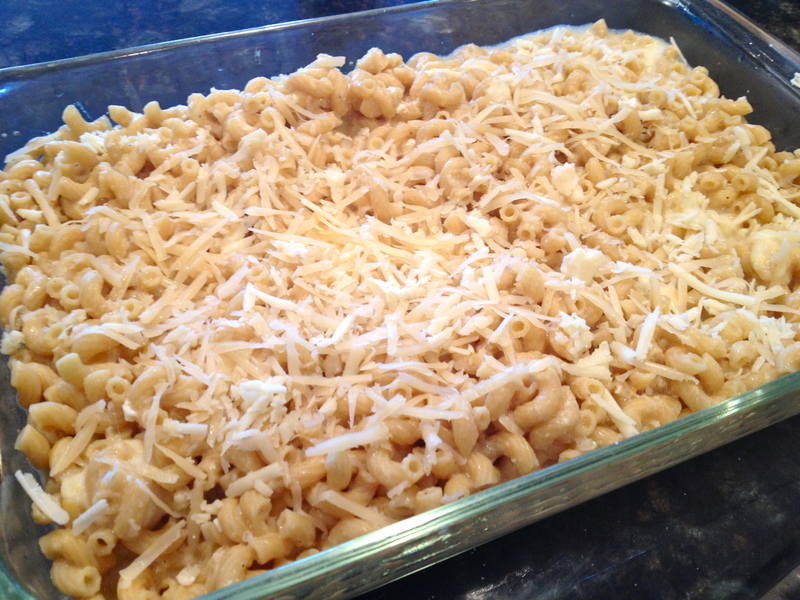 Cook the pasta to a still-firm al dente (it’s going in the oven, so it should still be slightly undercooked). When you drain the pasta, reserve 1 cup of the cooking water, to add to the sauce later if needed. Now, the cheese sauce. In a large saucepan that’ll be big enough to hold all the pasta, heat the milk, stock, and bay leaves and simmer for 5 minutes. Meanwhile, put the cheddar in a bowl and toss it with the corn starch, mustard powder, and paprika (we had a brick of yellow cheddar about to run out, and then we started a new brick of white cheddar; hence the yellow and white. In mac and cheese as in life, color doesn’t matter). 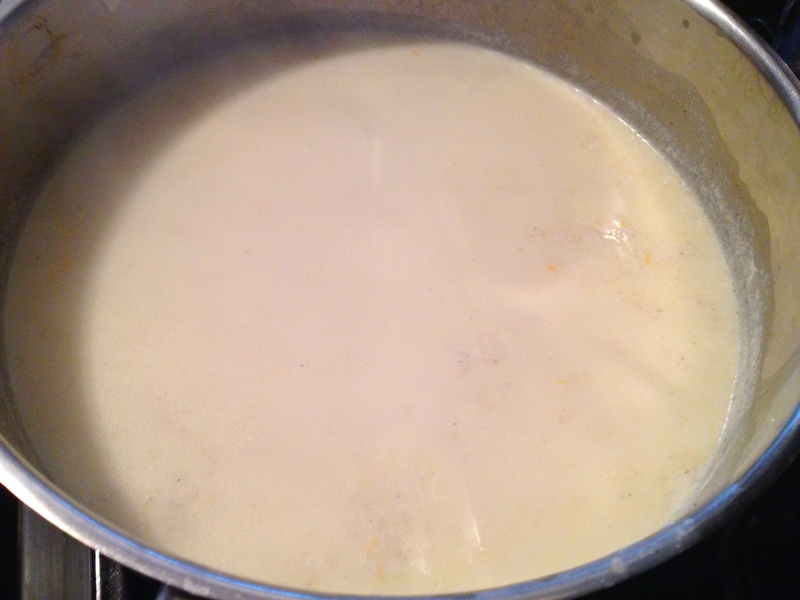 Then remove the bay leaves from the milk and stir in the cheddar. Turn the heat down to low, stirring as the sauce thickens, about 10 minutes. 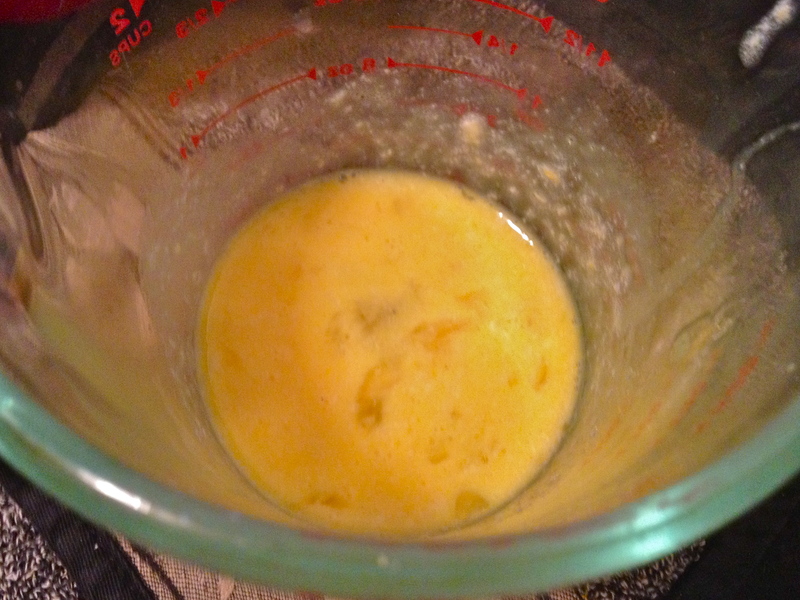 In a separate bowl, add a spoonful of the hot cheese sauce to the beaten egg to temper, and use a fork to stir. 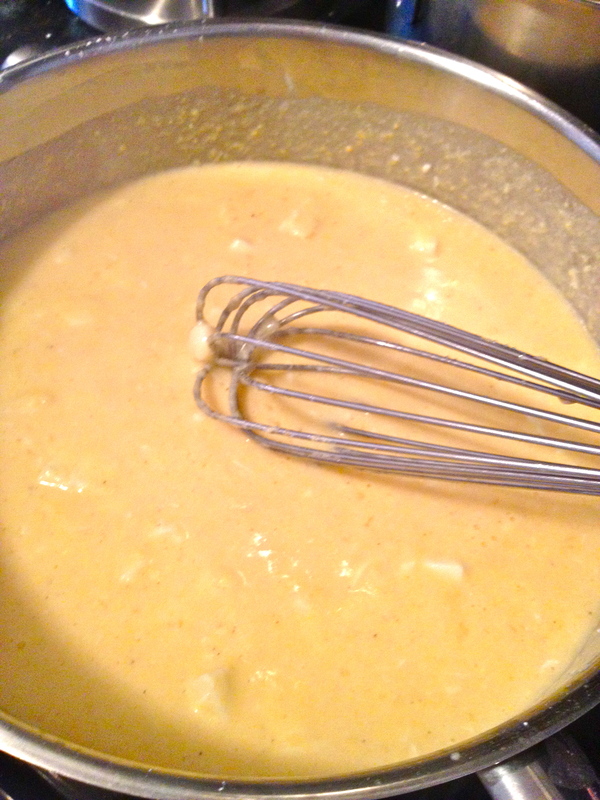 Take the sauce off the heat and whisk in the egg, mozzarella, butter, and salt and pepper. You’ll probably need a bit more salt and pepper than you think you’ll need, but be careful not to oversalt. Just try a bite after your first addition, and add seasoning as needed. Stir until melt-ily incorporated. 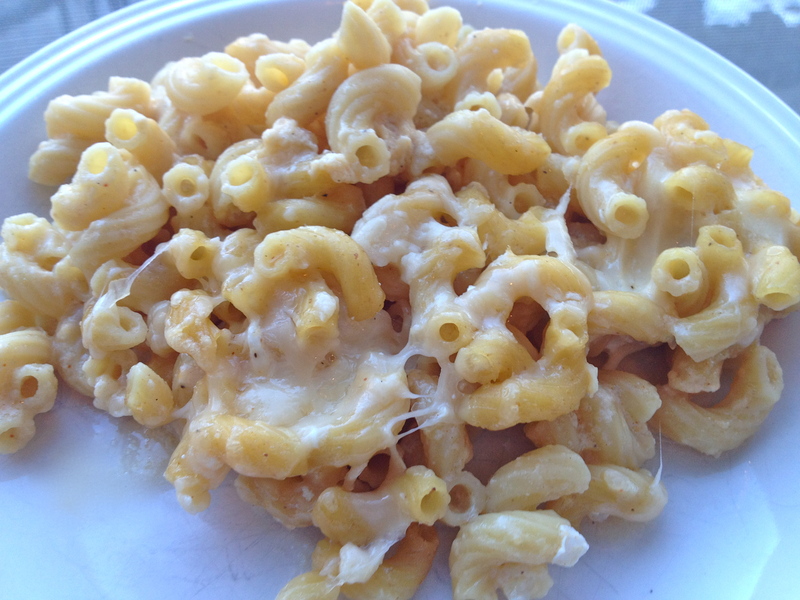 Toss the pasta in the sauce to coat, and then pour into a greased baking dish. 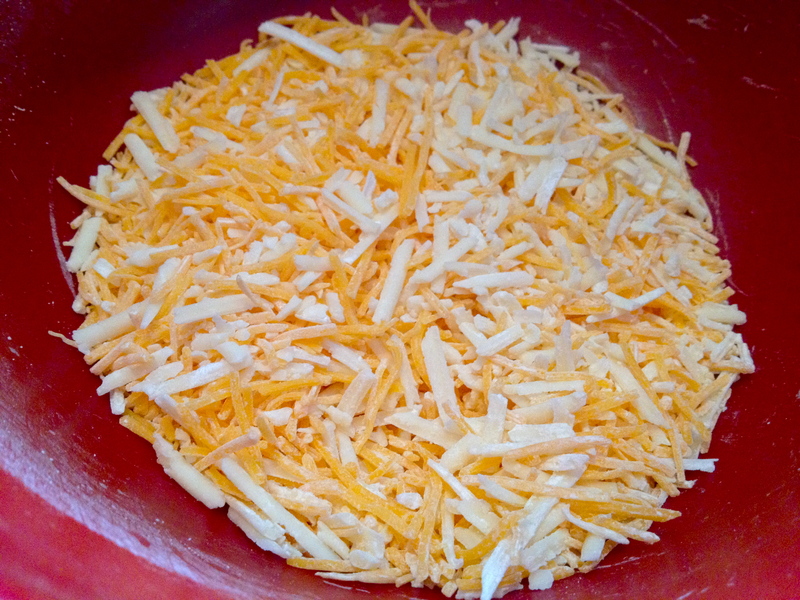 Sprinkle with a handful of cheddar and/or parmesan, if you like. Bake about 15 minutes, until the top just starts to brown. Leave it to cool and firm up a bit for 5-10 minutes and dig in! Previous 100th recipe! and, Roasted Garlic Refried Black Beans. Next Blackened Onion and Lentil Pilaf. Had it as an after school snack today! Yum I’m jealous. Whyyyy did I not take any leftovers? !